Chung's Tae Kwon Do Institute is now the fastest growing martial arts school in Palmer, Alaska. We offer the finest in Martial Arts instruction for Tae Kwon Do, Hap Ki Do, and Self-Defense along with personalized service that cannot be matched. Many people believe that martial arts is about punching, kicking and fighting. However, in our opinion it's a terrific way to teach Respect, Perseverance, Confidence, Self Discipline, Integrity, Leadership, Courage, and a "Yes, I can!" attitude. Lose weight, get in shape, learn new skills and self-confidence - AmazingAwaits - what are you waiting for? 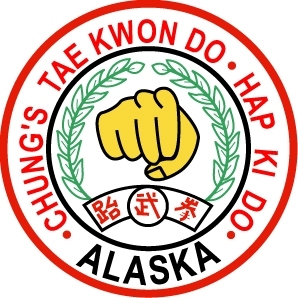 Welcome to Chung's Tae Kwon Do - Palmer, Alaska (907) 746-7665. It's a great day for After School Martial Arts in the valley!